Svan Lyft Booster Seat is the first of it’s kind. I have been looking for a new unique portable booster seat for my son for some time. We have been using the same booster seat for nine years. I try to avoid germs at all cost by taking ours with us everywhere we go. It is very difficult to find a booster seat that is as compact the Svan Lyft as it folds completely flat and has a handle for carrying. It also comes with a carrying bag. I carry ours everywhere, and it is so much easier than those other bulky portable booster seats. It’s nice to know that the booster seat we use is safe and clean. The Svan Lyft Booster Seat is very easy to use, and install. There is no assembly required. I was a little worried about this particular booster seat working with our dinning room chairs, but I am pleased to say that it even works with my rounded back chairs. It’s adjustable telescopic arms and feet allowed for maximum extension to reach the top of my chairs. 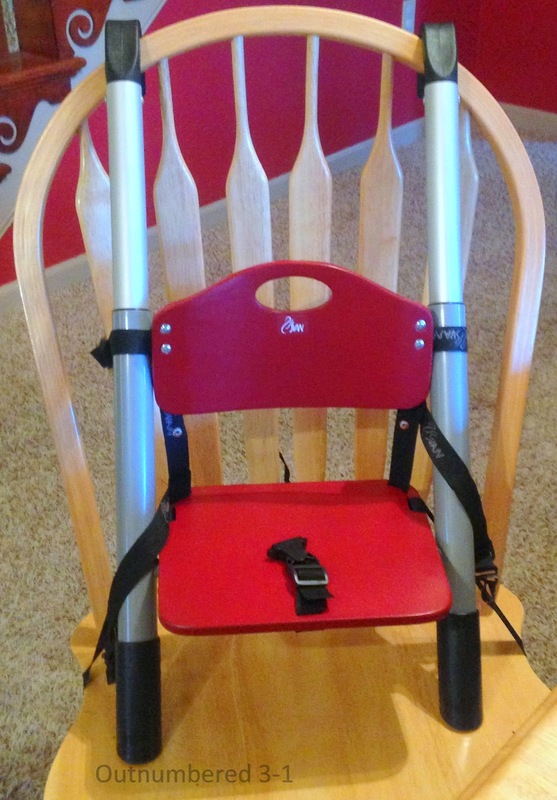 Then once you have the booster in place use the adjustable fixing straps to secure the back and bottom of your chair for maximum safety. It even has a three point harness to keep your toddler safe. The seat I received matched my dinning room walls perfectly, but it does come in more neutral colors. My son was so happy to be able to sit at our dinning room table with us instead of sitting in his high chair. This booster is designed for 18 months to five years of age, and up to 50 pounds. This really is the ideal booster seat for any outing.